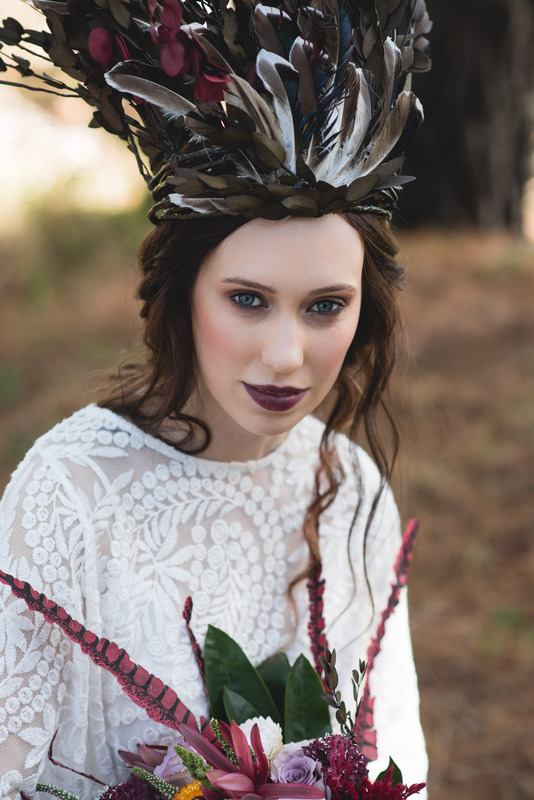 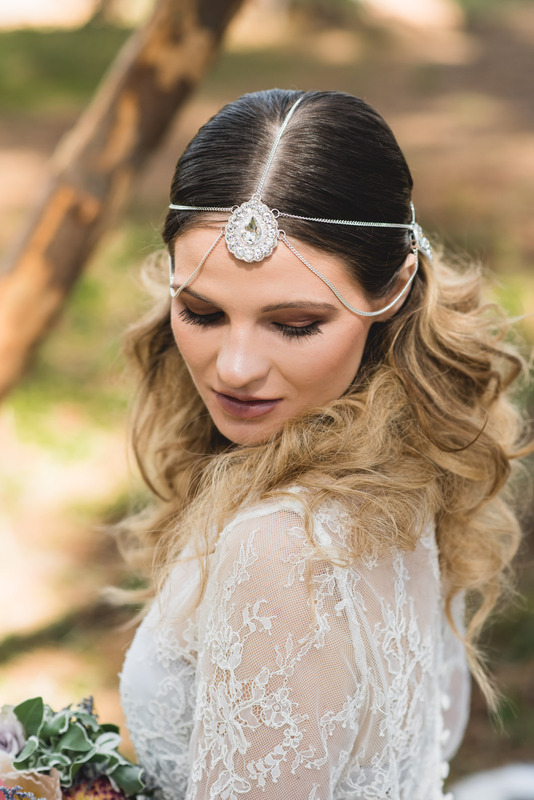 The inspiration began with the creation of delicate handmade headpieces, to selecting a tribe to fit the part. 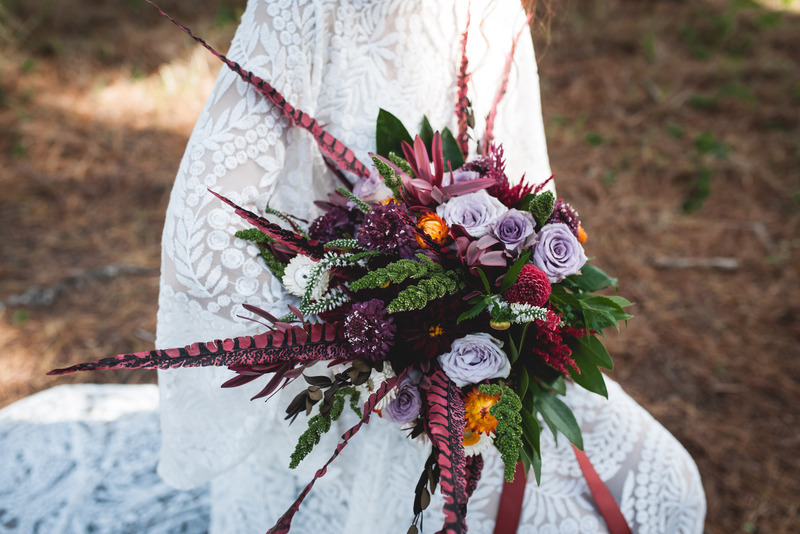 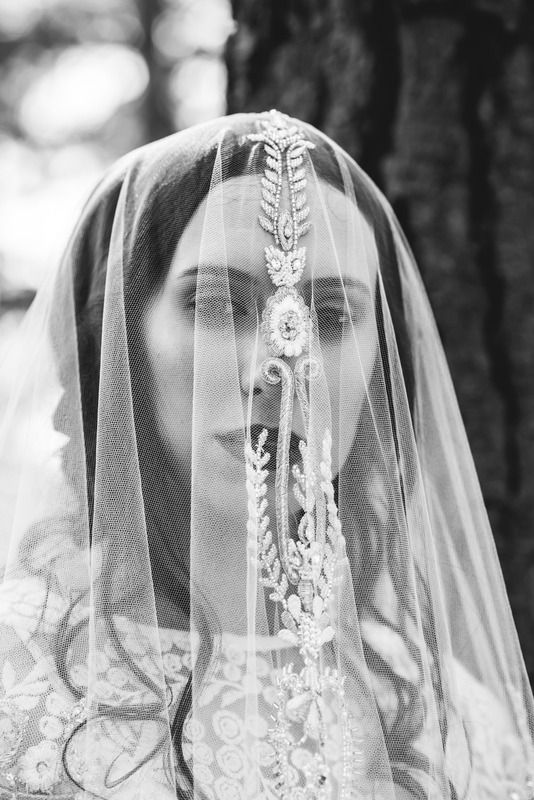 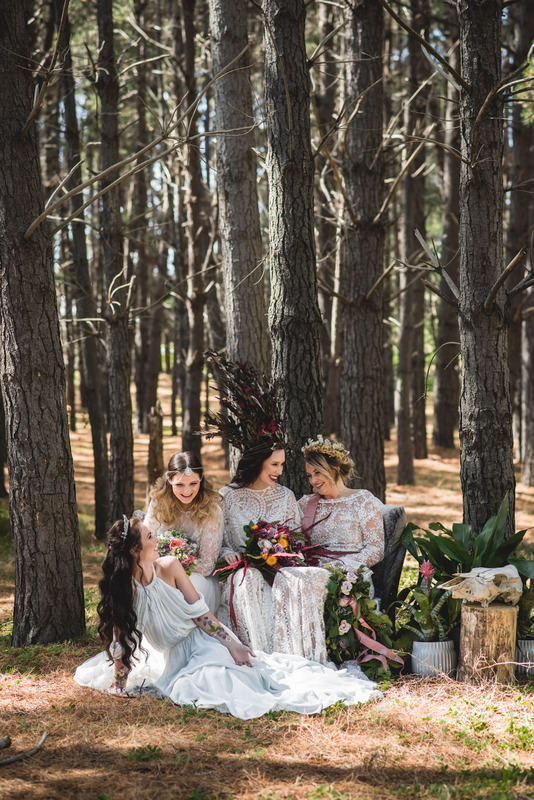 Jacqui envisioned a group of women who exude natural beauty yet could all portray a different take on being a Bohemian Bride. 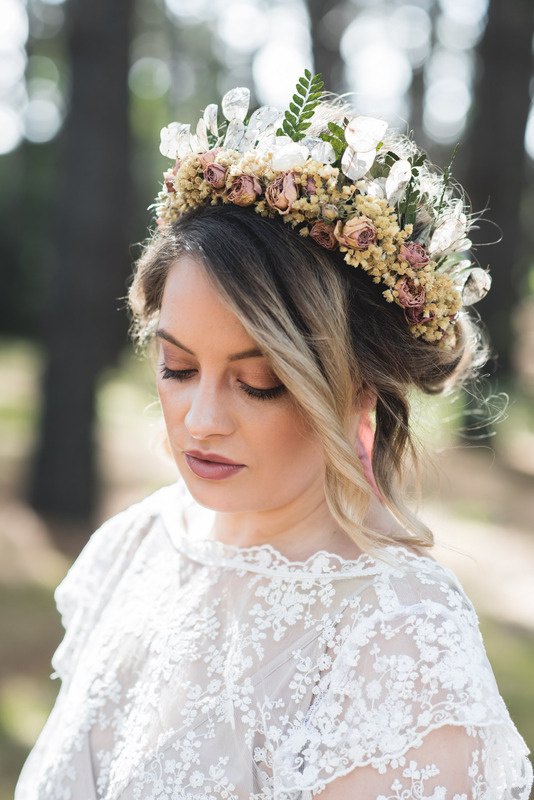 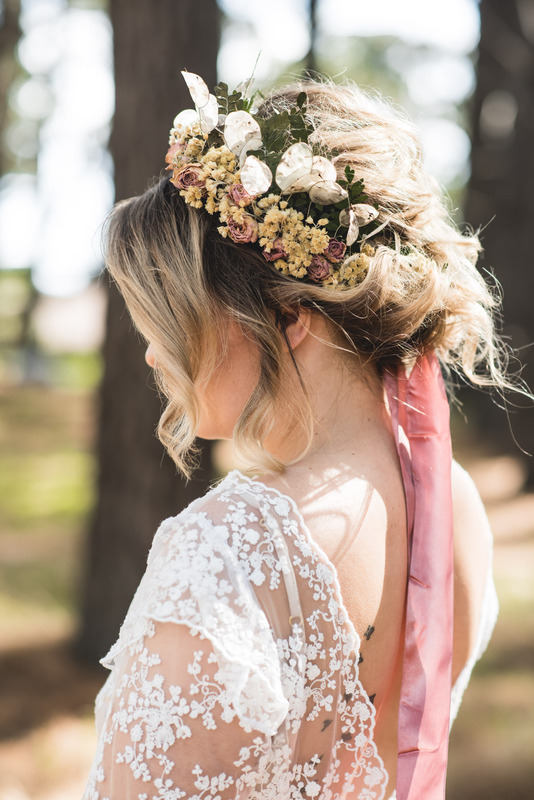 Jacqui was very particular in selecting the perfect hair + makeup stylists as she wanted to ensure it would emanate the authenticity of a bohemian bride. 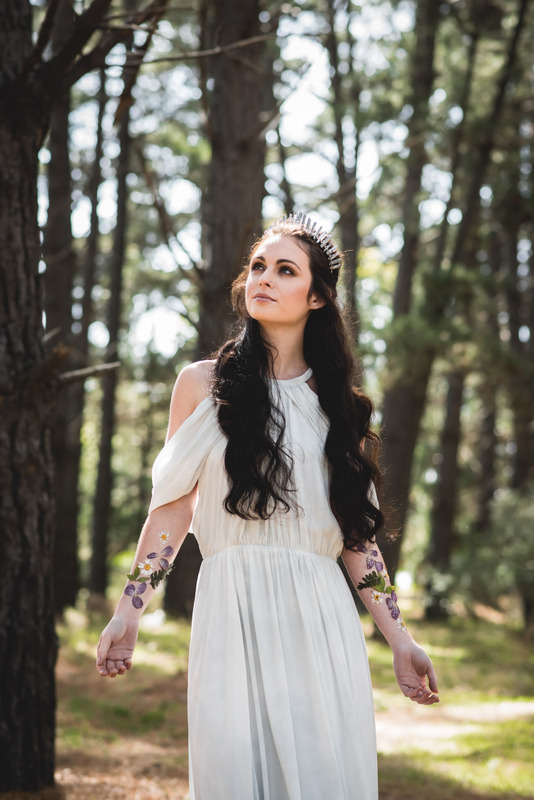 She is natural, ethereal and in sync with nature. 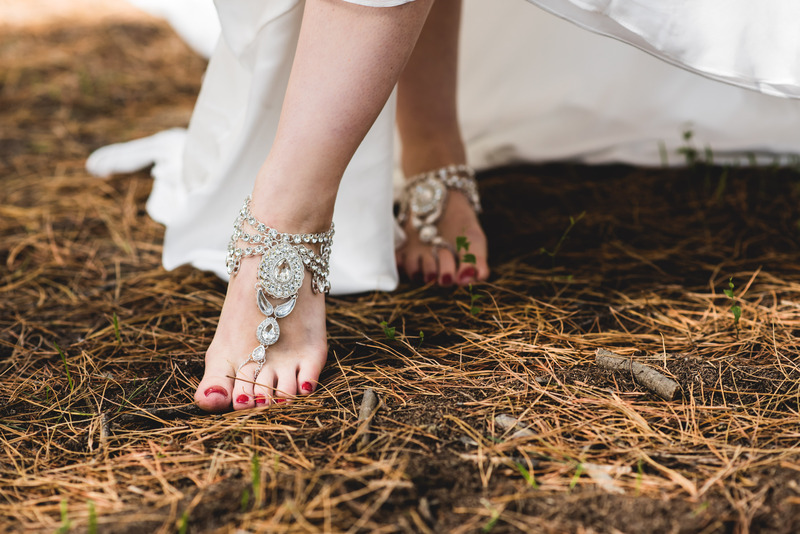 She is a free spirit. 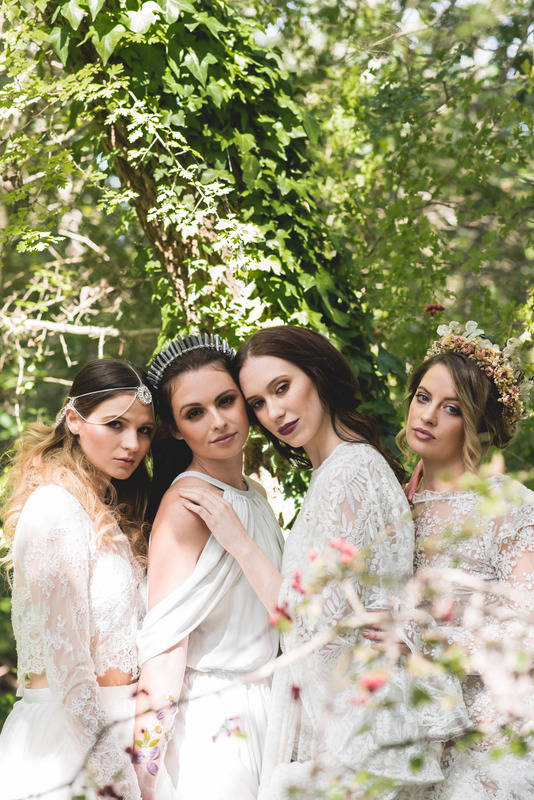 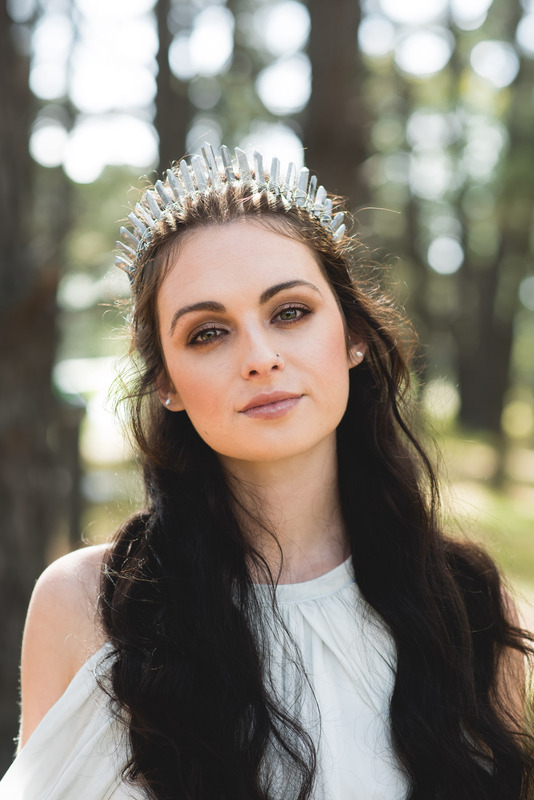 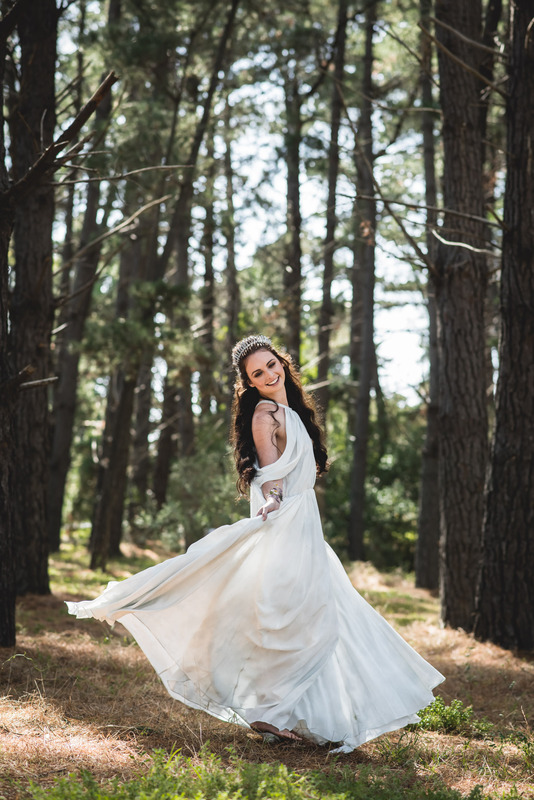 Collaborating with Amante Bridal, Jacqui hand selected a mixture of boho dress styles & accessories to match the girls overall look and personality. 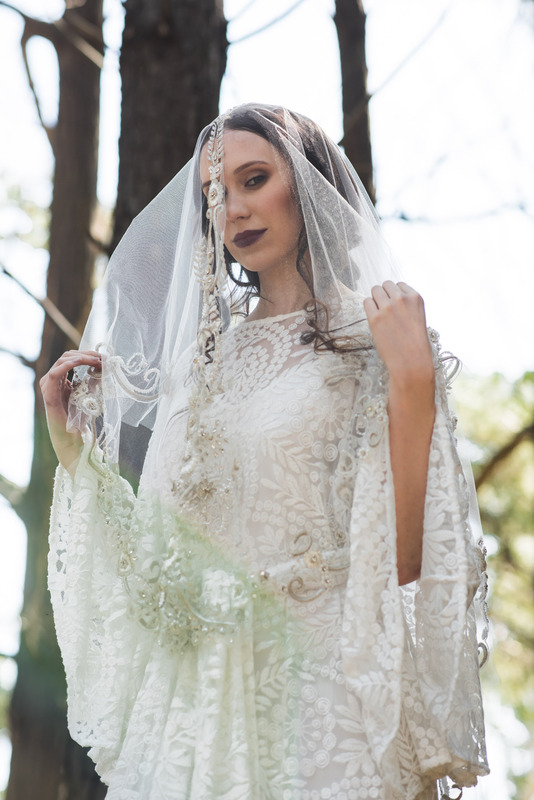 Their collection was simply a perfect fit for our overall concept. 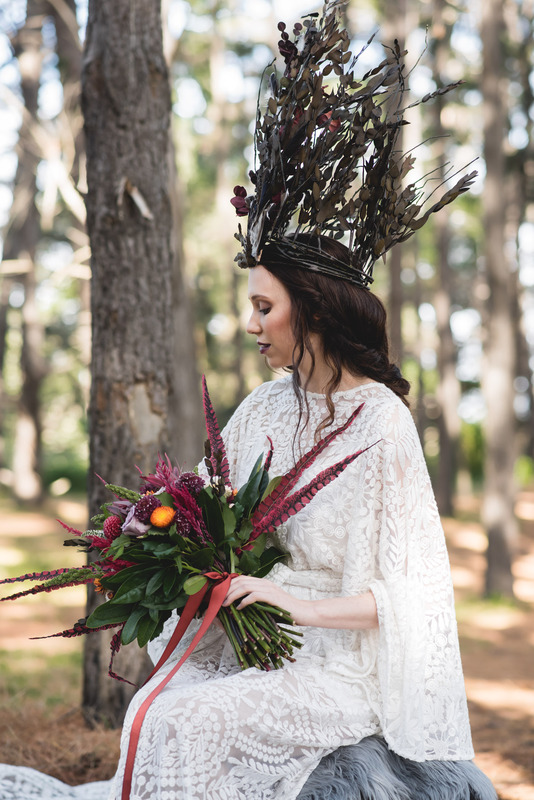 One of Jacqui’s many styling favourites is to add an element of eclectic and she did this through her hand created floral design. 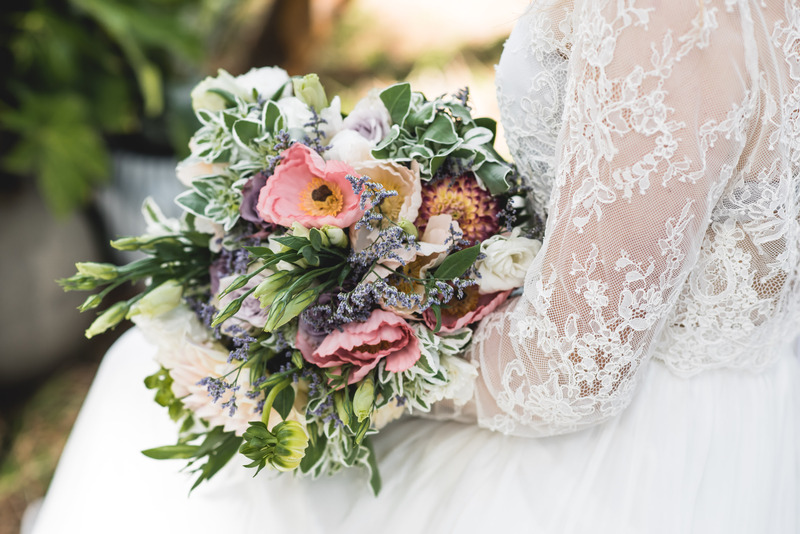 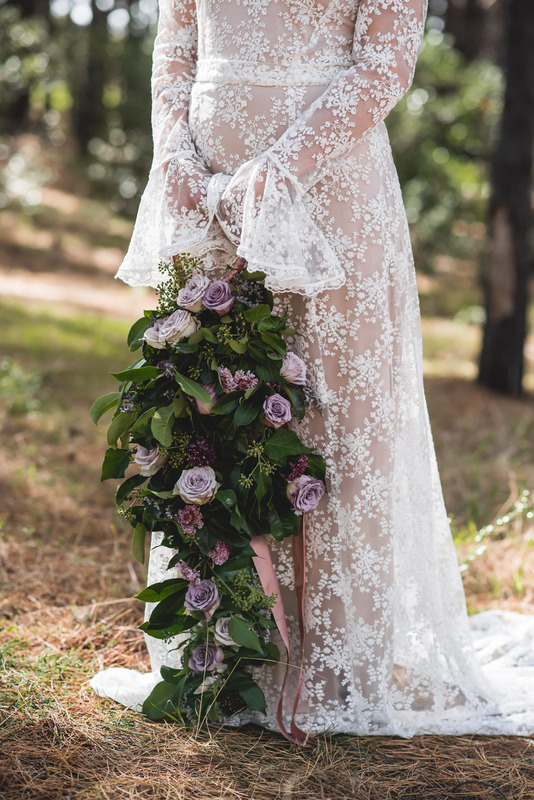 In particular, her take on the ‘new way to bouquet’ using pressed flowers on one brides arm and a hand-held garland for another. 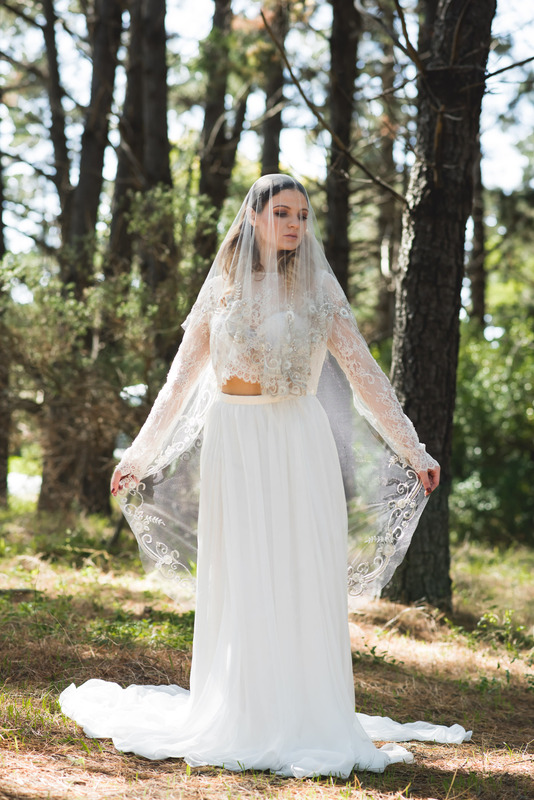 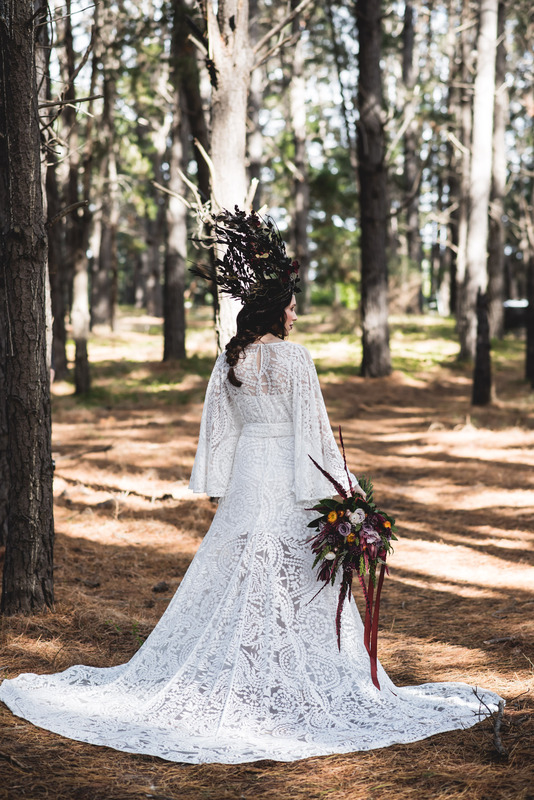 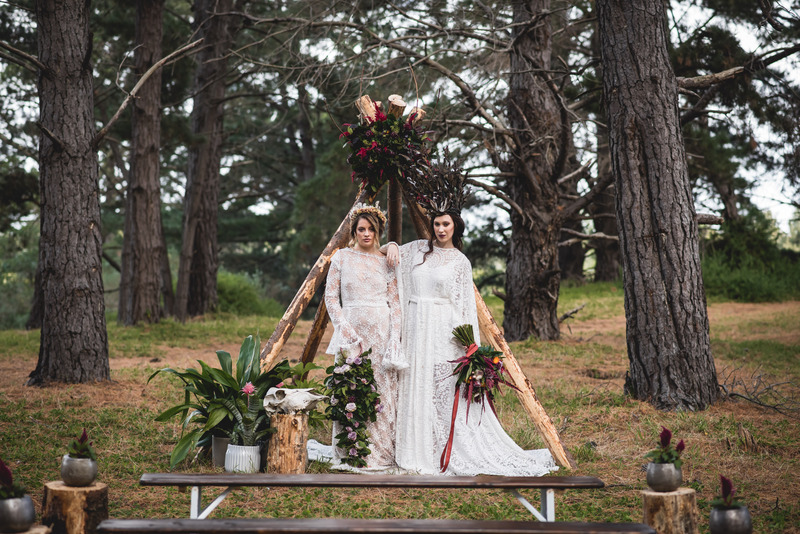 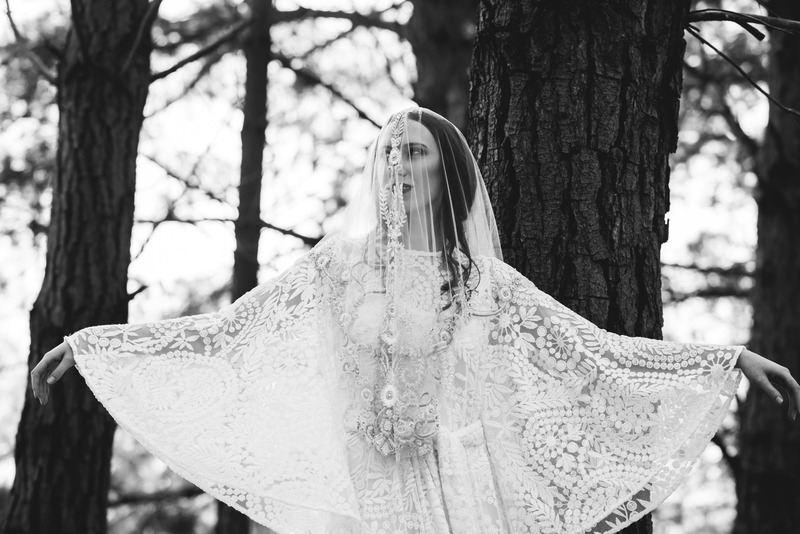 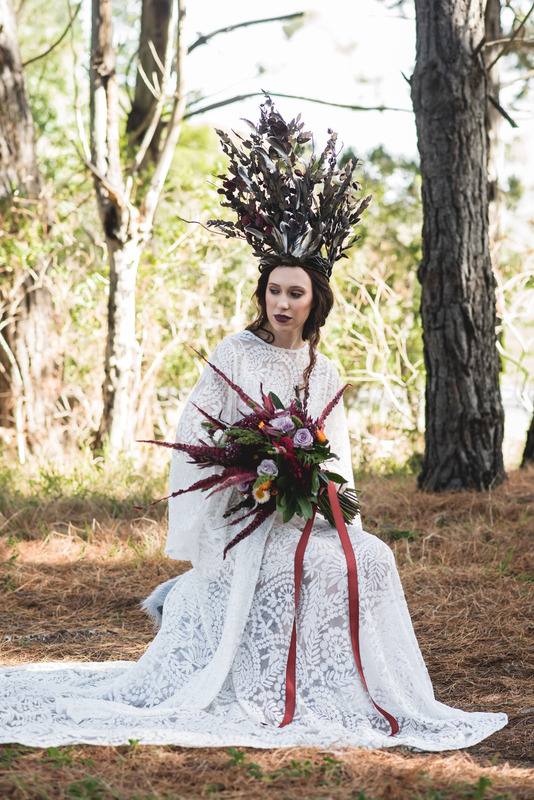 Situating the shoot in a pine forest was a manifest decision, it allowed the bohemian aesthetic to thrive throughout the natural landscape and tie in beautifully with our tee pee ceremony set up.